The Fly London Suli womens boot in black leather is a classic high mid calf style that will look fantastic with skinny jeans or leggings this winter. 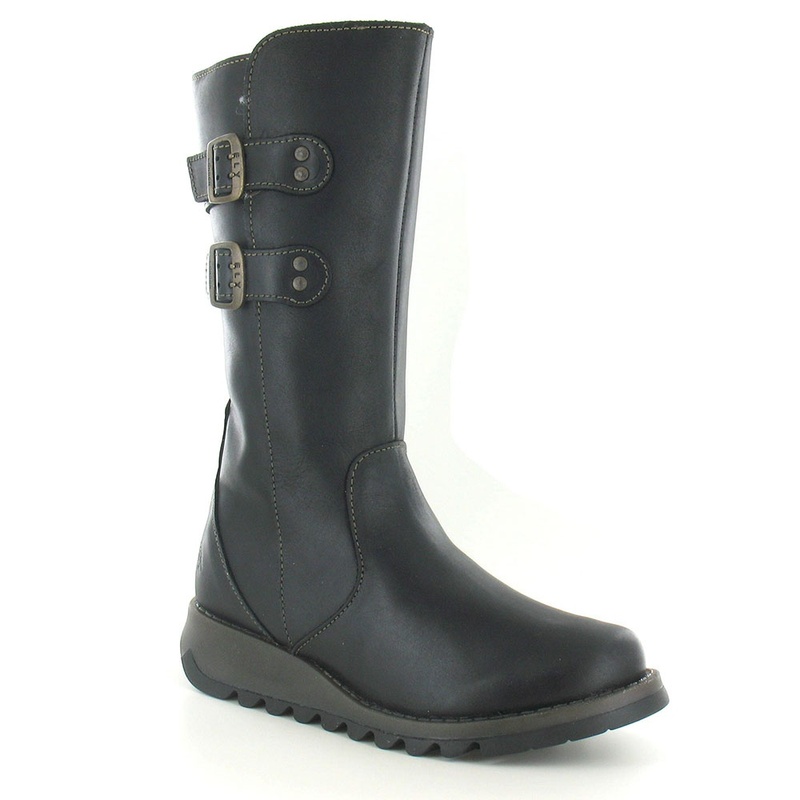 With uppers made from a black, luxuriously soft genuine leather with burnished finish, lined with a soft textile fabric for extra comfort the Suli womens mid-calf boot is a joy to wear. A full length zip allows for easy putting on and taking off while a decorative double leather strap and buckle on the boots calf allows adjustment for a perfect fit. The womens Fly Suli's sole unit has a 35mm wedge heel and is moulded to feature the Fly London branding and the stylised fly symbol on the heel.